However, the one mask I have never tried is a lip mask (crazy I know). After going in search of a lip mask I came back with a couple of different options. Todays lip-mask is from the Korean brand LANEIGE. 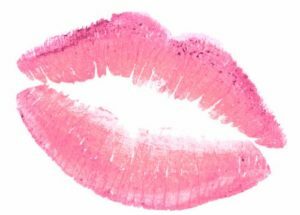 After going in search of some more affordable options I ended up just asking a woman what her favourite lip mask was, well Sandra this one’s for you. Currently, LANEIGE has put out a two mask pack that is only $13 …. sorry let me repeat $13… In this pack, they feature two of their most recognized and highly purchased masks. The first mask, which I won’t really be talking about today, is their Water Sleeping Mask. 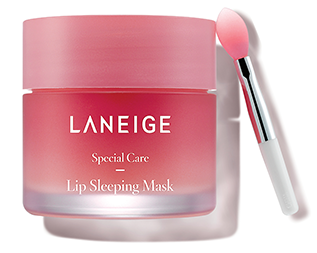 The second product is their Special Care Lip Sleeping Mask. Okay, first few impressions about this lip mask were the following: nice clean packaging about the size of a small lip jar, smells like cotton candy, is SO smooth and feels quite thick considering the thin layer I applied. I followed the instructions perfectly as this is the only way I’ll be able to give you honest opinions, knowing we’re all using the product the same way, and the way it’s supposed to be used. A sweet fragrant blend of different berries indulges the senses and relaxes the mind. To be honest I have used LANEIGE’s products in the past and have really liked them as they are so moisturizing and do leave the skin feeling quite nice. After having this product recommended and raved about I was quite excited because it received such good reviews. Maybe my expectations were too high, I feel as though I was expecting some lip magic which did not happen. However, what did happen was the following: the smell was nice and soothing, not relaxing but it could be a bit too much for some people. It definitely softened my lips like crazy, they were baby-bottom smooth in the morning! They felt in overall better condition. The only part I disagree with is the whole exfoliating claim in the way most people understand that word. It helped to almost polish away any of the little flakes on my lips, but the exfoliation was definitely not ‘strong’. All in all, I’m not sure if I would use this as a night time mask, only because if you roll around, or sleep on your front you are bound to get it on your pillow or get your hair stuck to your lips. On the flip side I will definitely be carrying this little sucker around in my purse for the upcoming cold months or any dates I go on. For full ingredient list head over to LANEIGE.com, the majority of the ingredients are natural with active ingredients revolving around the power of raspberries and cherries! Yum! Previous Post No Bare WHAT ? !